As holiday season comes into full swing, it seems that we are exposed to so much more sweet foods during this festive time of year. It doesn’t matter if it’s cake at a company party, a paleo delectable, or a vegan live pie, being exposed to more sweets just comes with holiday season. And with over indulgence of sweet foods comes the increased risk of canker sores. If you aren’t familiar with canker sores, consider yourself very fortunate. Those of us who must guard against the pain and tenderness canker sores cause are jealous. There are many ways to get rid of canker sores naturally. Here are a few easy home remedies to get rid of a canker sore fast. In traditional Chinese medical thought, sweet foods stimulate the spleen and stomach (which makes common sense if you consider the cultural habit of having something sweet after a meal to promote and stimulate digestion). The mouth also relates to the spleen and stomach. Over indulgence of sweet foods causes an imbalance in the spleen/stomach which stresses out the mouth and can result in canker sores. Excessive sweets also causes a corresponding change in the oral micro biome and pH of the mouth as well. While we all know the ultimate ‘answer’ to balance this situation, (I’ll say it quietly so as to not awaken or alarm each of our ‘internal sugar dragon’ :)), lowering the amount of sweet foods (aka knowing what foods undermine our oral health and why) will help provide balance more quickly. But what about the canker sore? Once it’s already developed, it needs time to heal. Here are a few helpful ‘on the go’ tips to support the stressed tissue and quickly heal a canker sore. By applying a solution that will sooth stressed tissue and contains some nature based anti-microbial/anti-fungal qualities. Of course we are biased. Our HealThy Mouth Blend serves this purpose very well. One of the ingredients in the HealThy Mouth Blend formula is myrrh. Myrrh has been used since before biblical times to sooth stressed, traumatized tissue and promote a healing environment. If you aren’t familiar with homeopathic medicine, it’s an ancestor of our modern medical system. We have experienced seemingly miraculous turnarounds using homeopathic remedies. In the case of canker sores, there is a specific remedy for it (doesn’t get any more straightforward than that)! You can find the homeopathic remedy Borax at your local health food store or on amazon here. Excess sweet foods, especially chronic overindulgence, causes the tissues in the mouth and tongue to swell (yes, tongues can get ‘overweight’). This tissue swelling increases the risk of biting the tongue or cheek, a common cause of a canker sore. If you have an active canker sore, it’s even more inflamed from the chomp trauma, which further increases the risk of re-biting the injured tissue. Ouch! Been there, done that. Try applying direct pressure by pinching the injury between your finger and thumb. Just put either your finger or thumb inside your mouth and the other outside and pinch the region. Pinching the region will help the swelling diminish in the area. Gently apply pressure to the area (especially helpful after just biting the cheek) for 5-10 seconds and see how much less aggravated/inflamed it is. So, be willing to allow some indulgence this holiday season. Remember to play ‘the long game’ and feel good about your choices while you moderate your intake of sweets. Causing ourselves stress by trying to maintain some mental image of a ‘perfect diet’ directly undermines our ability to optimize our immune response. Be conscious of your choices. Enjoy that sweet treat and really bring your attention on the pleasure of eating it. By increasing our focus on enjoying the moment, we reduce the risk of unconsciously over consuming sweets. That’s playing ‘the long game’. Remember, the path to optimal oral health is a marathon, not a sprint. Do you know someone who suffers from chronic canker sores? Please help us help them by sharing this article with your loved ones. I had earlier today read of another homeopathic remedy, Mercurius sol 200 twice daily or Mercurius Sol 6, 3-4 times daily. But in my experience with occasionally biting my cheek, if the sores develop at all they heal very quickly since I ditched conventional toothpaste for HealThyMouth blend. If the sore is persistent, which happens rarely now, I agree that a dab of HTM on the sore significantly hastens the healing. 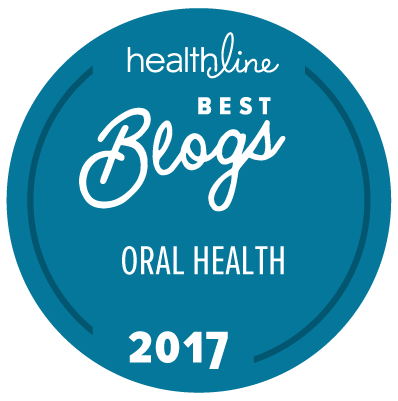 Thanks for researching and developing these healthy-mouth products.